When I discovered these adorable mini skillets online I was inspired to make so many things. Individual brownies, pancakes, Malva puddings, even shakshuka-type breakfast bowls! 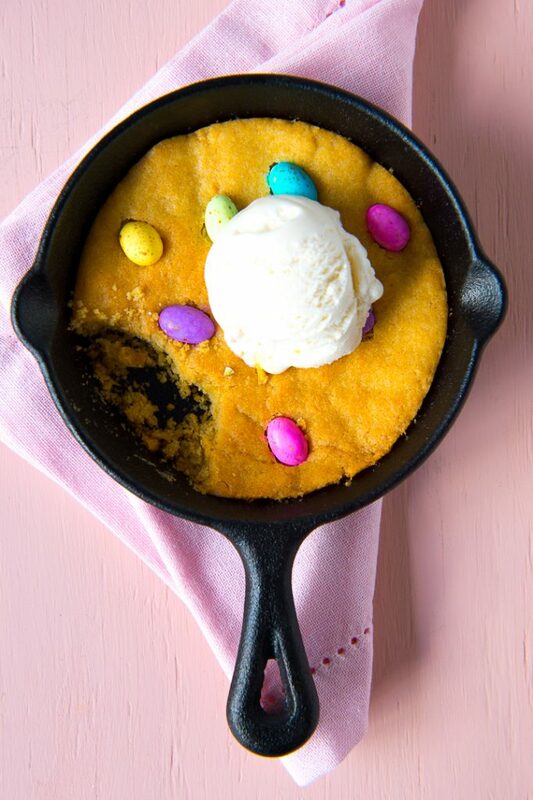 But the first thing I simply had to try was mini skillet cookies! 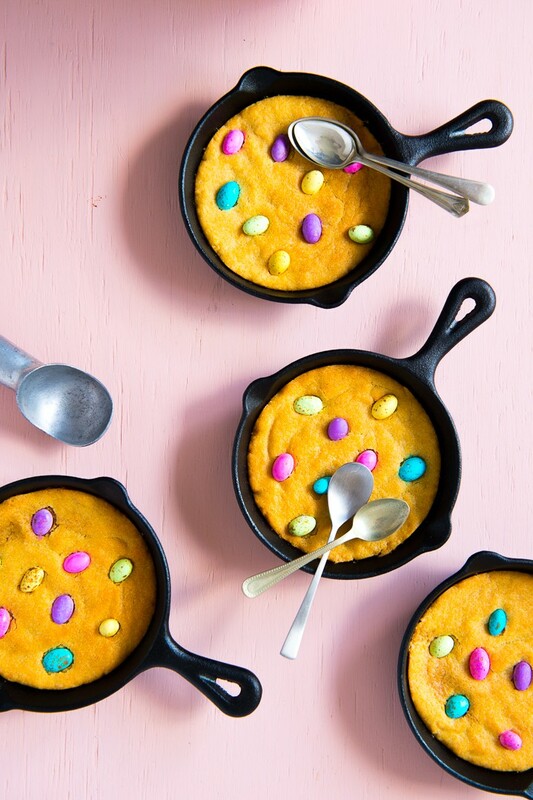 With Easter around the corner I felt it was appropriate to replace the chocolate chips with little speckled eggs. 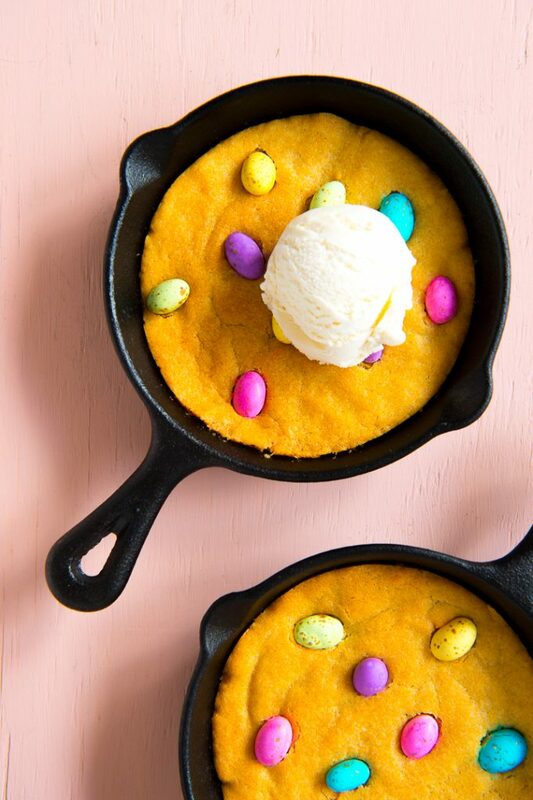 And so these Mini Speckled Egg Skillet Cookies came about. Initially I added the speckled eggs before baking, but I found that the colour of the shells ran into the batter, and some cracked/burst in the oven. 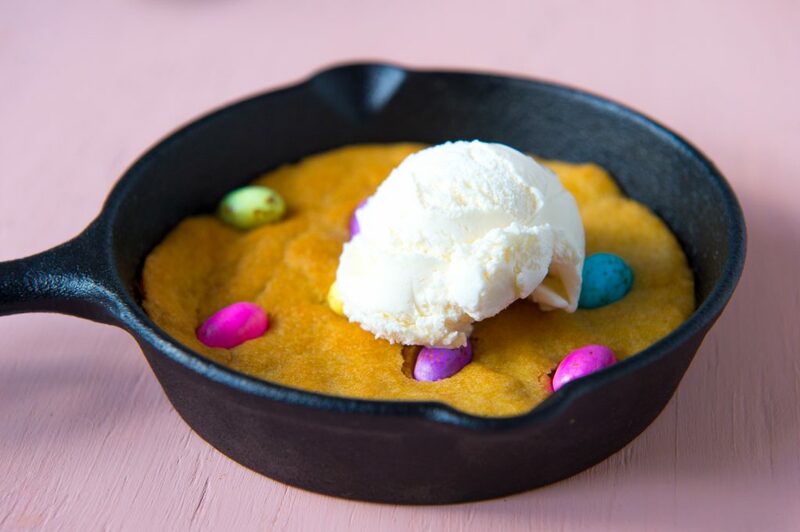 By pushing the speckled eggs into the hot cookie, they retain their colour and shape but still get warm and melty! Best served with a generous scoop of ice cream. Preheat the oven to 190°C. Grease 6 mini skillets (about 12cm diameter) or 1 large skillet (around 26cm). Cream together the butter, brown sugar and white sugar for 3-4 minutes. Add the egg and vanilla essence and beat well. Divide the mixture between the 6 mini skillets and press down evenly. Bake for 16-18 minutes, or until golden brown but still a little soft. Immediately push about 10 speckled eggs into each cookie, while they are still warm. Serve immediately with ice cream.